When you’re growing up, most parents use the time around the dinner table to quiz kids on spelling words or basic math problems. I think normal families catch up on the days events and discuss the upcoming week, but I can’t say for sure because this was never my upbringing. Normal to me, was eating dinner while the Portland Trail Blazers played on the 13-inch Panasonic television mounted under our kitchen cabinet, turned as far as it could turn so we could see the screen just enough while we ate. When I was in kindergarten, my parents wouldn’t ask about school, they would ask me to recite the Blazers lineup. This would continue until I finished the current roster and then we would go down the list of NBA franchises. This ended up being a party trick my parents would have me bust out when we were around other adults. As the shy kid who got along better with them than other children usually, I was happy to oblige for the impressive looks on grown men’s faces. There was never one set of television broadcast announcers I could immediately identify as “Portland’s guys.” Mike Barrett and Mike Rice held the positions for the longest by far since I have been around, but with their departure a few years back, what little connection I had with them has since dissipated. But even prior to their arrival in the early 2000s, I can only ever remember one voice representing my team–and that’s Brian Wheeler. Brian Wheeler became the Blazers radio announcer in 1998, the same year I was in kindergarten and being quizzed on European names no five-year-old has any business pronouncing. Wheeler had been announcing for the SuperSonics the years prior to this and my family had come to recognize his voice and contagious enthusiasm for the game in what I remember as the peak of the I-5 rivalry. He had big shoes to fill in Portland, as the only announcer we had ever known was Bill “The Schonz” Schonely, who coined our notable nickname Rip City. To say his voice was uniquely-Portland would be an understatement. Wheeler did fill those shoes and the city embraced him. Not only was he an excellent play-by-play announcer who painted a crystal clear picture of the court for listeners, his excitement penetrated through the radio. So much so, that my family would mute the television during games and let Brian host the show for us, usually a few seconds with the television delay. But it didn’t matter if they were synced up because Brian Wheeler turned games into events and every night everyone was waiting for his infamous BOOM-SHAKALAKA to reverberate through the speakers. In the past few years, Wheeler has been dealing with health issues and has had to take several games off; he has yet to return this season so far. 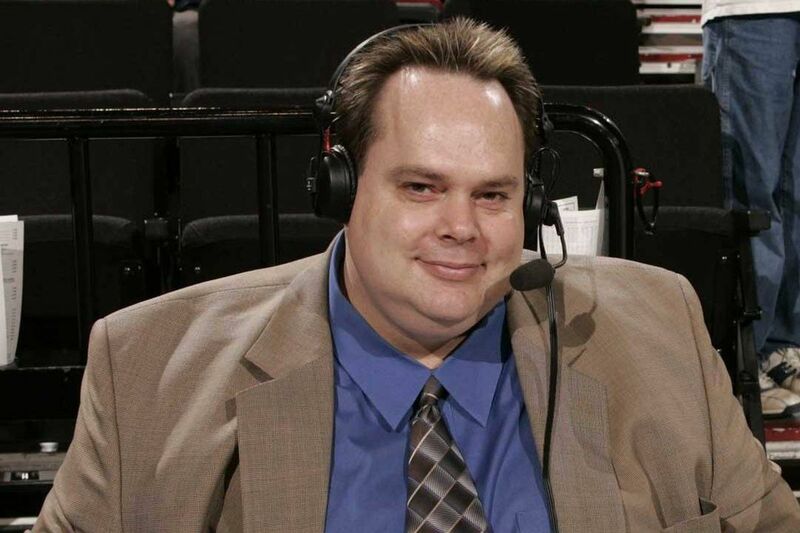 While I hope he does everything he needs to let himself get well, I really miss Brian Wheeler and often wonder what he would have to say about roster changes within and outside of the Blazers organization. When Damian Lillard goes off for 35 in the second half for a franchise record, I wish I was able to tap into a feed of him undoubtedly going nuts wherever he is. When Zach Collins starts to show flashes of the big man we need, I wish he was on Rip City radio affirming my beliefs. His voice has just as much nostalgic connection as the Blazer team itself. I don’t know what the future holds for Brian Wheeler this season, or into the future for that matter. It’s times when we reminisce about the 0.9 second comeback that the five-year-old at my kitchen table really misses this Portland character. I look forward to the day when Wheels returns to the team in any capacity. It will, as always, be a great day to be a Blazer.